This book begins dramatically - a flight of eight mute swans occupying the entire width of the second floor level of a busy street in the centre of Edinburgh, bringing traffic to a halt. In England all mute swans belong to the Crown - in Scotland they are wild and of three varieties - the mute, the whooper swan and the Bewick swan. 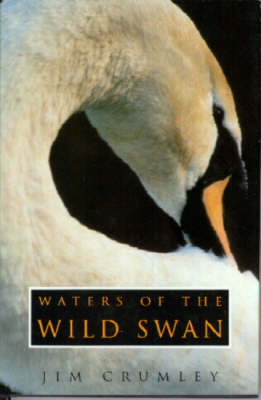 The author of this book has observed them all - the mute pair on a man-made pond that successfully raises eight cygnets year in and year out, the pair which valliantly tried three times to rear their young on a remote Highland loch, only to lose even the sole survivor and the gathering of 3000 whoopers on Loch Eyre in 1989 when there was unprecedented pondweed growth. The author also discusses swans in folklore and in literature and the need for severe penal legislation to outlaw the appalling things that are perpetuated on swans by certain members of the human race. Jim Crumley is the author of "The Royal Mile".